Stock screeners can help you find a winning penny stock. 1. How Much Money Do You Need to Trade Penny Stocks? 2. What Is a Stock Buyback Program? Penny stocks – or stocks that trade below $5 per share – have gained a reputation as a high-risk, potentially high-reward marketplace for investors who are keen on capturing "the next big thing." However, for every success story that exists with penny stocks, there are an equal number of frustrating losses. With that in mind, investors must be willing to take the time to research the company offering these shares and determine whether or not the prevalent fundamentals are an indicator of future success. Finding a quality penny stock offering involves extensive research and critical assessment of company fundamentals. 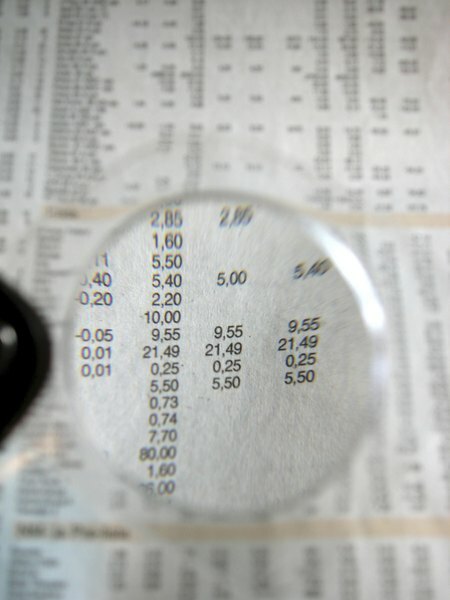 Capturing profits in the penny stock market requires a keen eye. Given the fact that penny stocks often trade in the over-the-counter (OTC) or "Pink Sheet" marketplace, oversight and regulation of these stocks is much less prevalent than in the more popular exchanges. The primary difference between the OTC marketplace and a major exchange such as the New York Stock Exchange (NYSE) is the means by which stocks are evaluated for their "quality." For example, a company seeking a listing on the NYSE must meet a series of stringent requirements, such as a collective market value of, at minimum, $100 million. It is certainly not the case that penny stocks are, as a whole, of lower investment appeal if they are unable to be listed in the NYSE, but it does mean that they are likely to attract less attention from institutional investors. While the Securities and Exchange Commission continues to impose regulatory requirements on the OTC marketplace, it is commonly understood that a lower bar to entry for companies seeking to sell shares here has opened the door for some fraudulent activity. With that in mind, investors seeking to buy penny stocks should be aware that the opportunity for companies to offer fraudulent shares is possible. Because of that, it is absolutely essential that you take the time to properly research any companies offering shares for sale here. One of the first factors to consider when choosing a penny stock to invest in is the history of the company offering the stock. A simple internet search can help you find all available research and commentary about the company in question. One of the earliest red flags you can discover about a company is a lack of documentation. If little evidence of activity outside of the company's homepage exists online, this could be an indicator of fraudulent activity. Once you have narrowed your scope to a small group of potential investments, you should take time to evaluate critical details about the shares themselves. Most importantly, you should attempt to identify the total number of shares available, the number of shares outstanding and any planned activities that may serve to dilute share price, such as stock splits, the frequency of new share issuances and any stock options offered. As a general rule, the more shares that find their way into the marketplace, the harder it will be for outstanding shares to gain value. Likewise, if a company is seeking to gain additional funding for their operations, the issuance of new shares will likely dilute current pricing and reduce the value of all existing shares. As with any stocks, you must be prepared to do your own research and accept a degree of risk when investing. Remember that a penny stock with relatively low trading volume likely implies a low degree of liquidity, which could hurt your ability to sell these shares in the event of negative price swings. Trading inside of your risk tolerance will likely ensure that your experience with penny stocks remains positive and, hopefully, profitable. Reject all companies that do not meet your search criteria, especially if you cannot find any financial information about the company. Penny stocks can be very illiquid, and many trade for as little as $0.0001 a share. Don’t compound the risk by trying to short an already cheap stock.